Welcome at Hansek Maschinenbau GmbH! 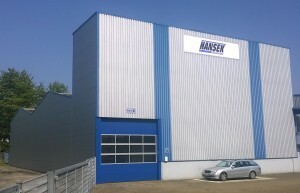 Hansek Maschinenbau GmbH is a medium-sized family company based in Münsterland. Our customers benefit from the high quality and reliability of our solutions as well as our decades of experience in machinery and plant engineering. We plan, produce and assemble machines and plants for the drainage and shredding of a wide range of materials. We are also your expert partner in all areas of special purpose machinery manufacture. We provide you with individual planning, design engineering in AutoCAD 2D and SolidWorks 3D, production, assembly, commissioning, documentation, spare parts service, maintenance, repairs, dismantling and disposal. If you have any questions, please contact us in person, by phone or via e-mail.